Sarah went on “It had recently been papered and painted and prepared for the reception of Lady Middletown.” A carriage house at the back was converted into a nursery, and Sarah described lofts, offices, stables, barns and a forge. After Thomas Holbeche’s death Sarah’s brother Vincent occupied the house and offices, taking over his father’s legal practice, and his son Richard, who was born there, later described the property. 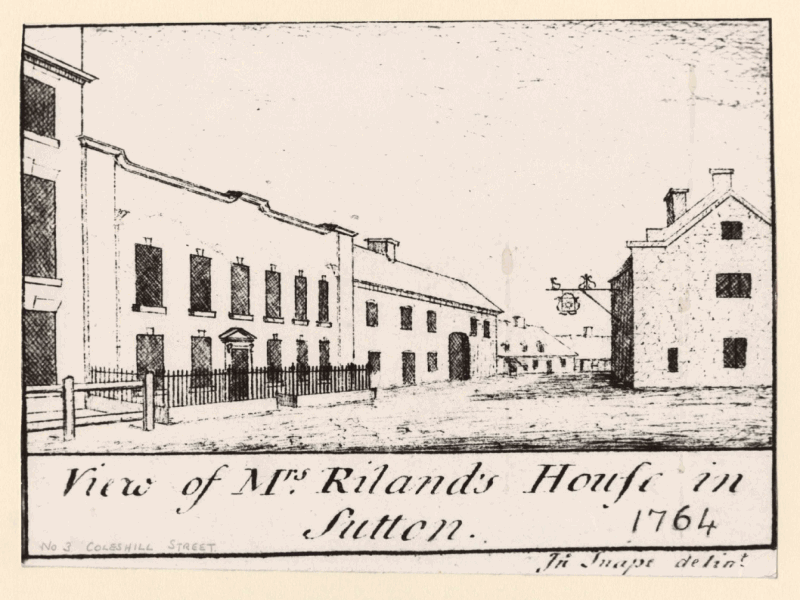 The reference to the barn as a tithe barn, and the earlier purchase of the property from the Rector, gave rise to the belief that it had once been the Rectory of Sutton Coldfield (the building of a new rectory in Rectory Park in 1701 is well documented). The Victorian Rector and historian of our town, W.K.Riland Bedford, himself believed this, writing “The Rectory house itself was in the main street, close to the Church.” Recent research has thrown doubt on this, however, as it can be shown that the property was purchased, probably in 1757, for the widow of the Rector Richard Riland, whose son Richard Bisse Riland became Rector that year. 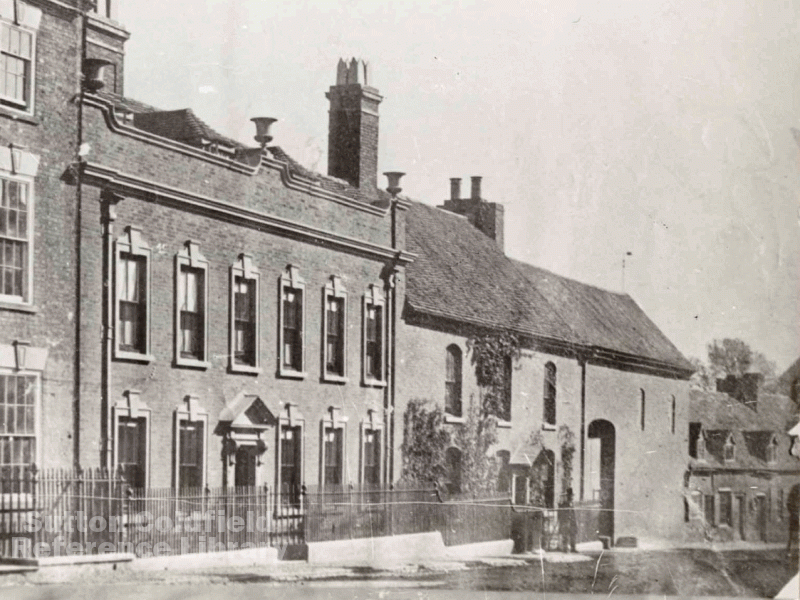 The previous owner of 1,3 and 5 Coleshill Street was Thomas Woodhouse, Warden of Sutton in 1752; the 1742 Rental refers to the property as “The Swan”, so it may have been an inn at one time.